In this program, students will learn the fundamentals of the recruiting practices, with emphasis in human relations and organizational behavior in order to help any employer attaining the most qualified employees and perform activities in the area of recruiting including interviewing and place workers. 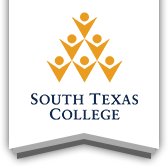 This certificate will allow the student to transfer credits to the Human Resources Assistant Certificate and the Associate of Applied Science degree in Human Resources Specialist programs. Human Resources employees work in typical office settings.